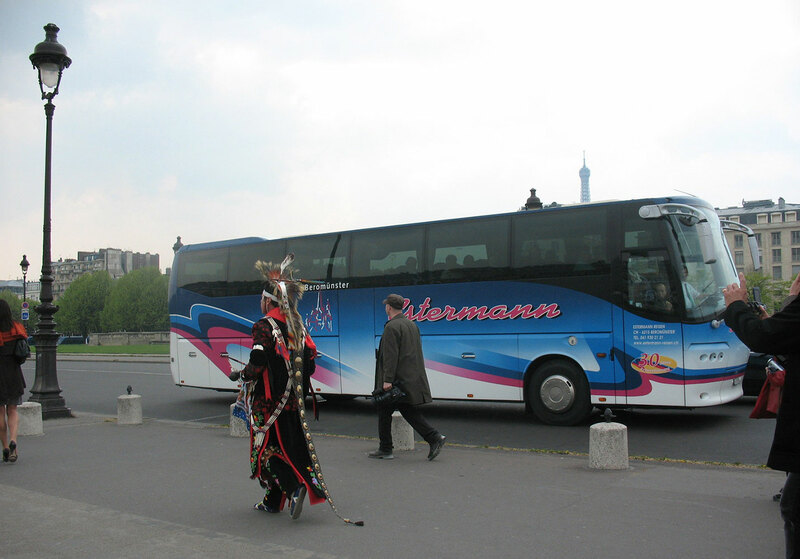 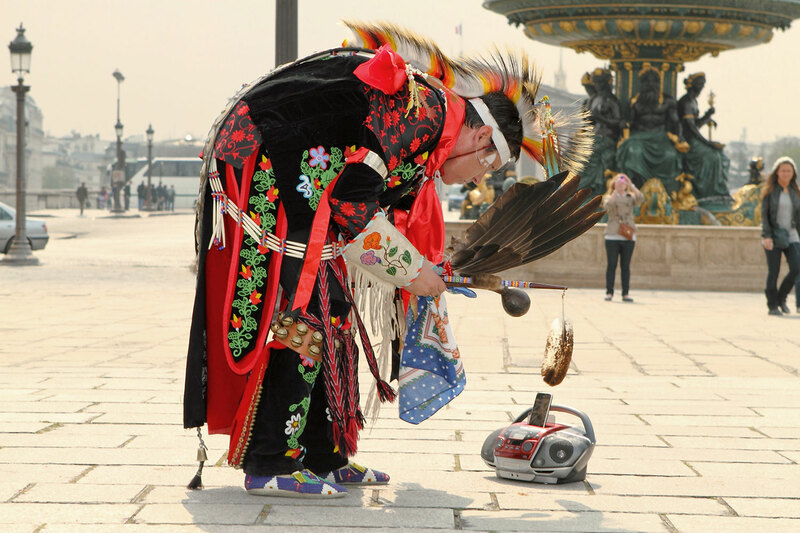 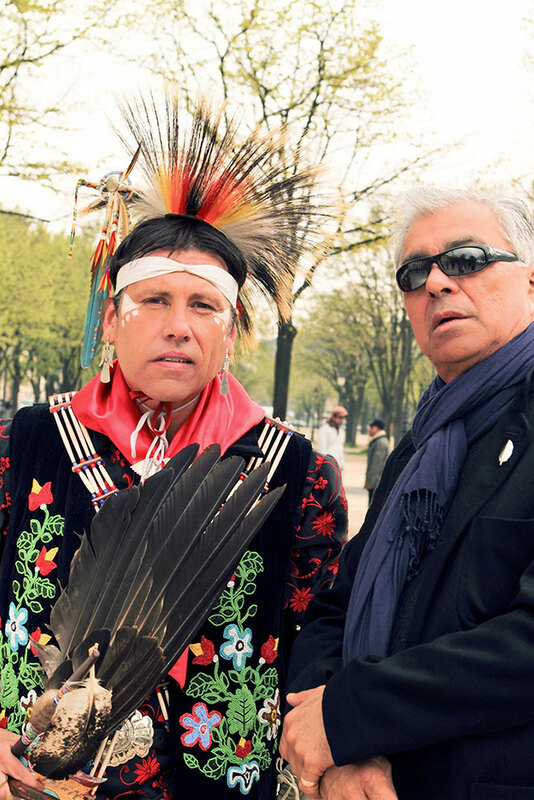 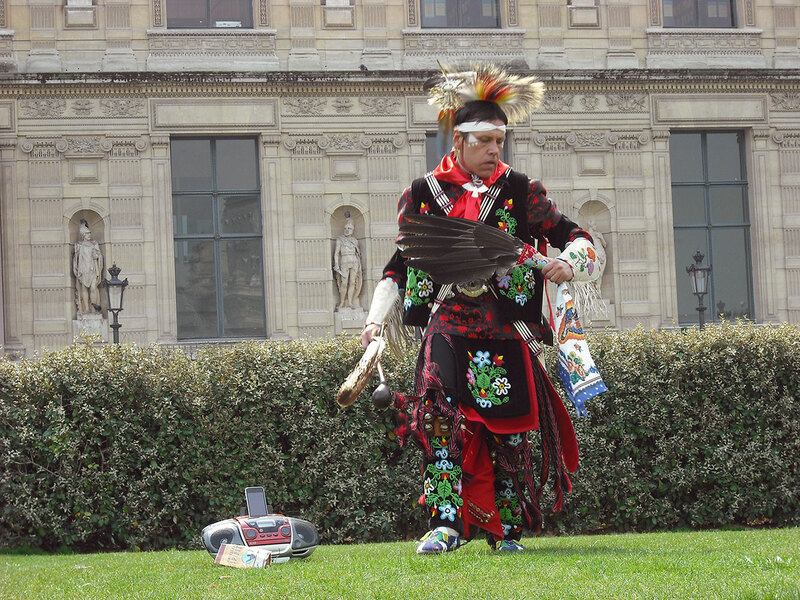 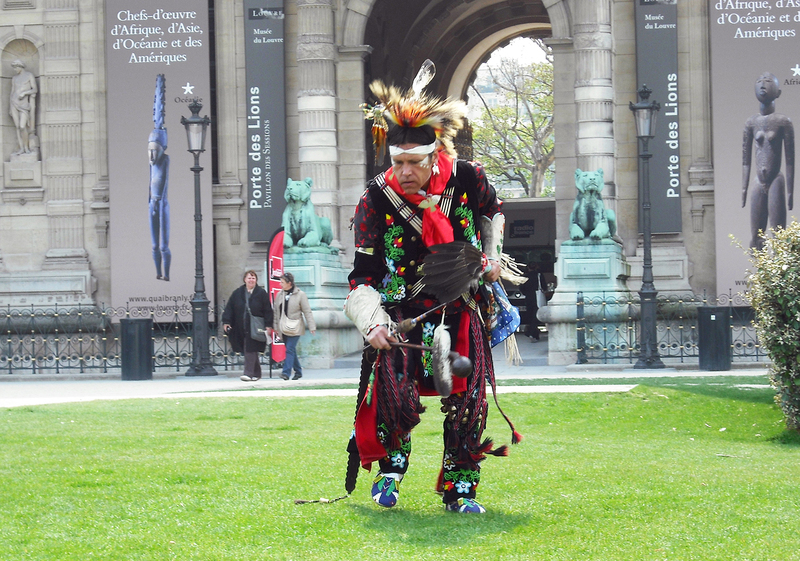 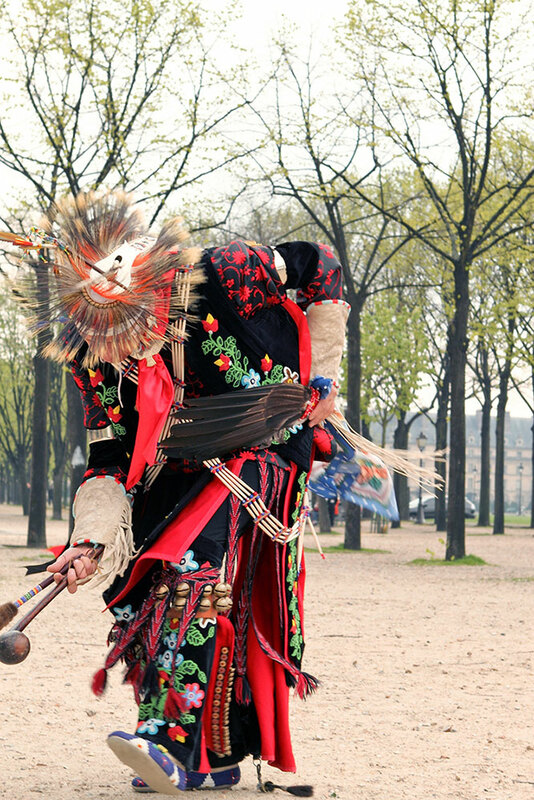 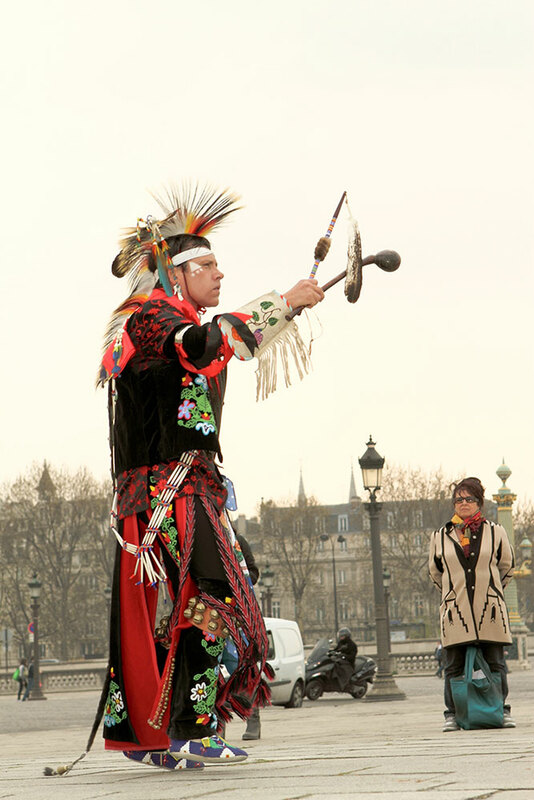 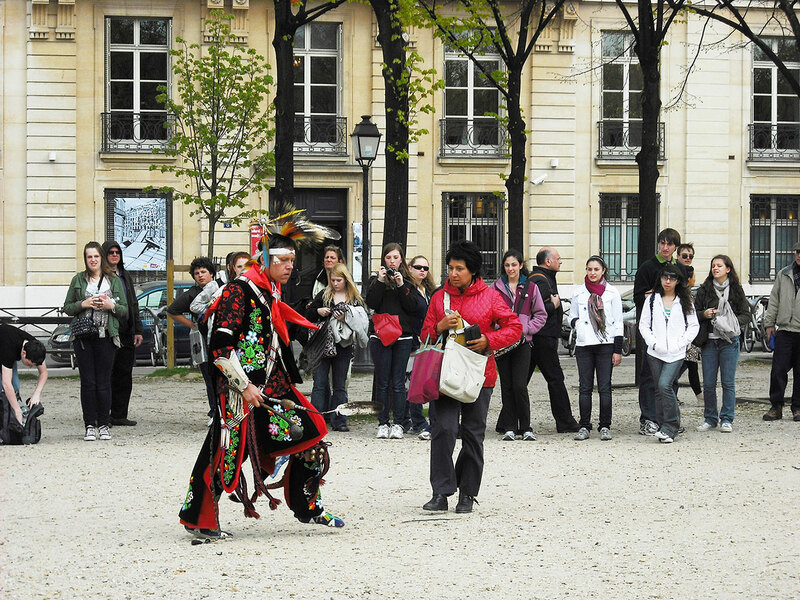 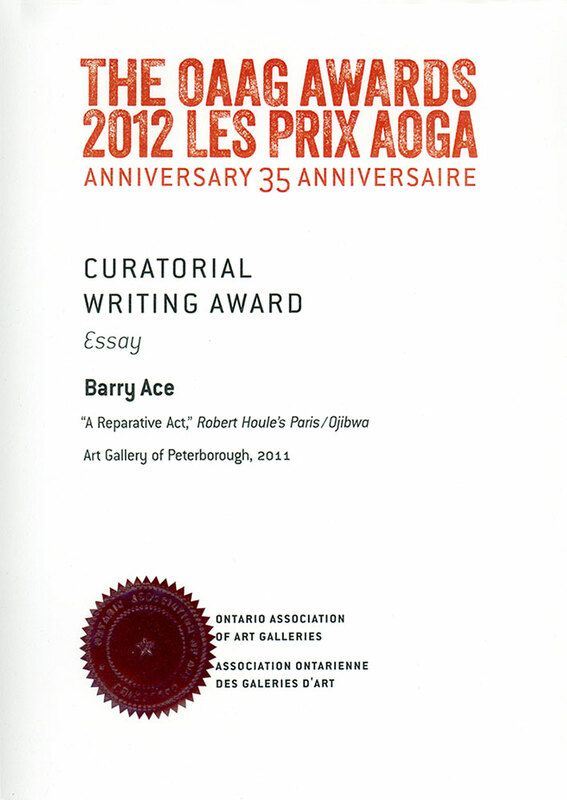 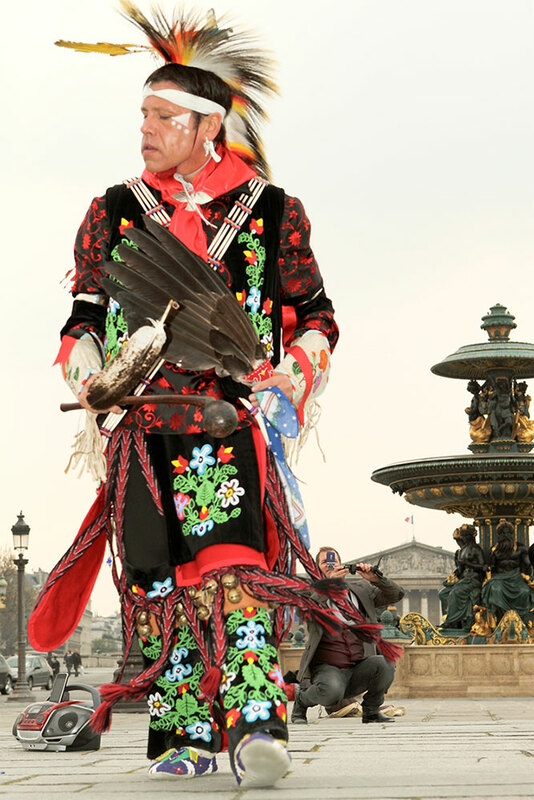 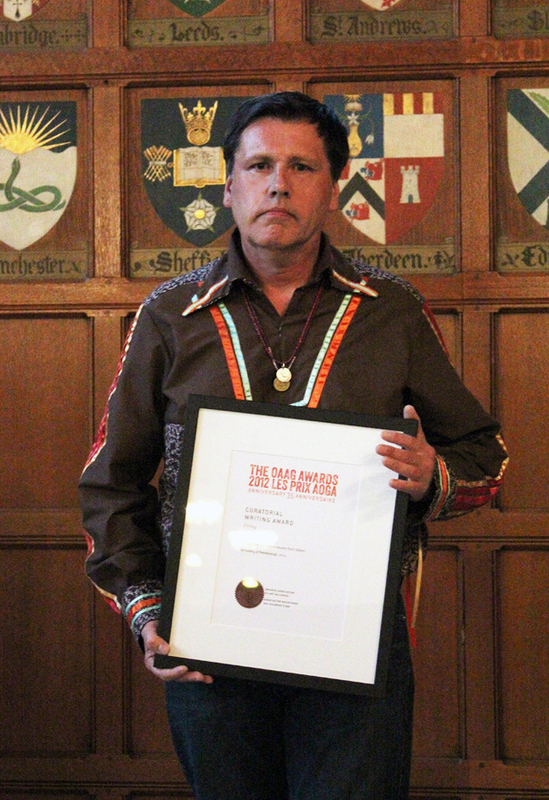 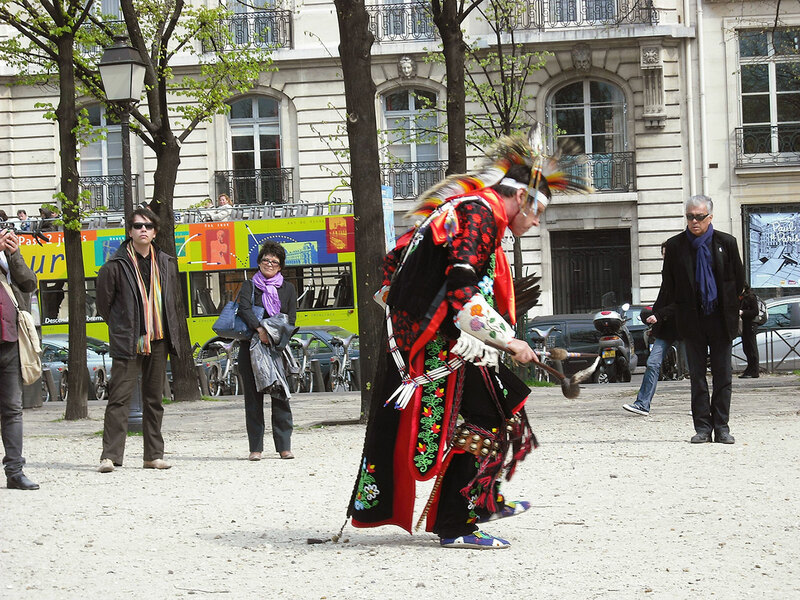 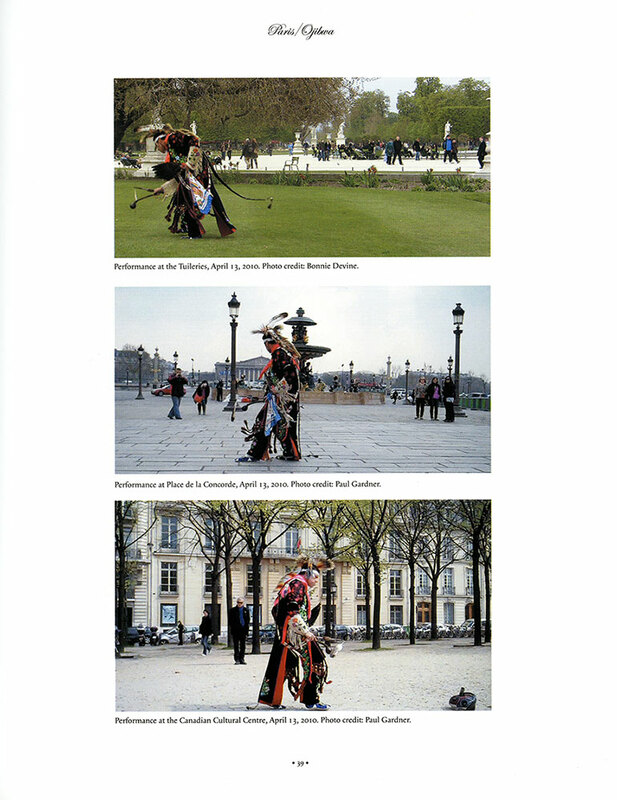 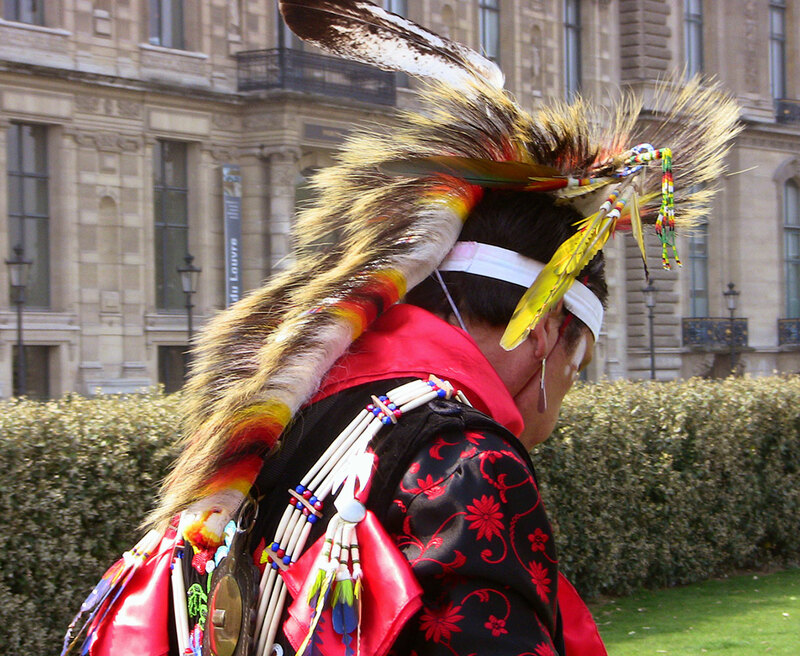 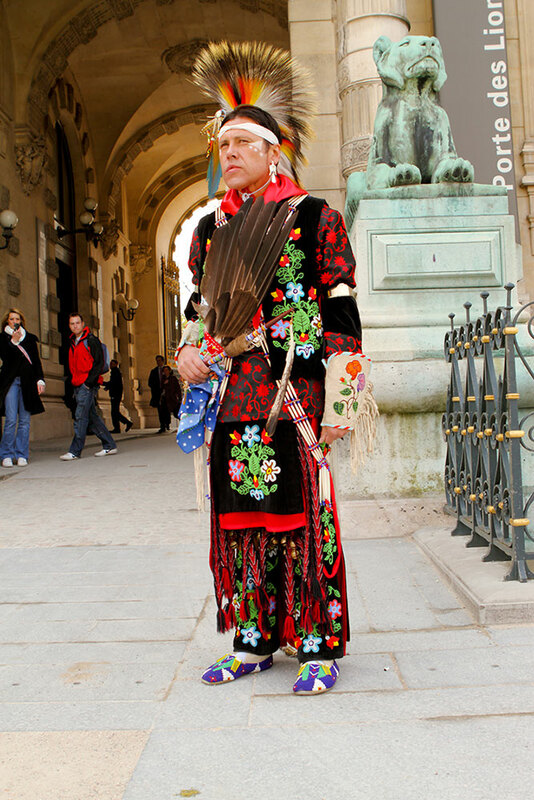 In 2010, at the invitation of artist Robert Houle, Ace travelled to Paris, France and undertook four site-specific dance performances honouring the Anishinaabe dance troupe lead by Maungwaudaus (George Henry), originally from the Mississaugas of New Credit First Nation near Brantford, Ontario. 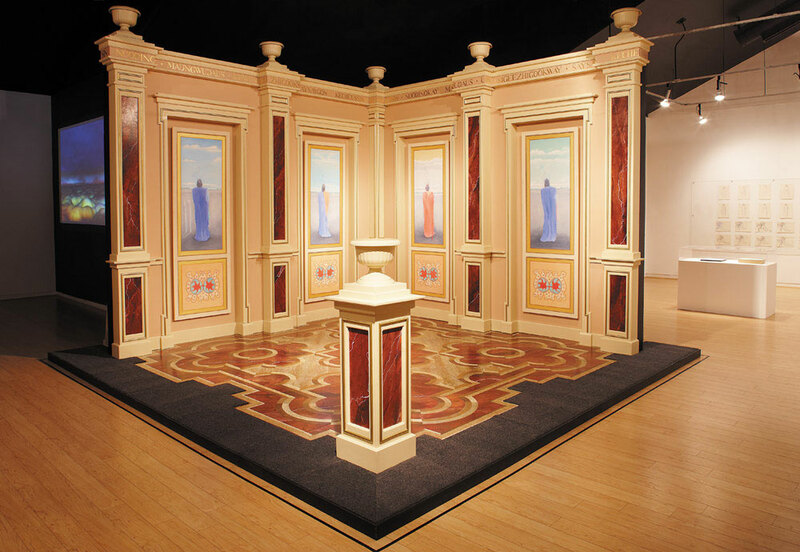 After touring in upstate New York, by 1843 his troupe set sail from New York for Europe. 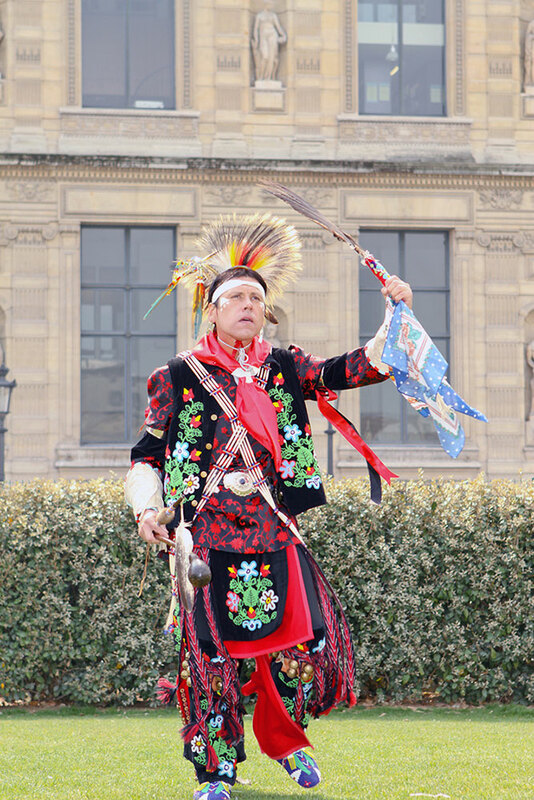 After landing and touring London, England, they travelled to Paris, France performing in George Catlin’s Indian Curiosities for five months. 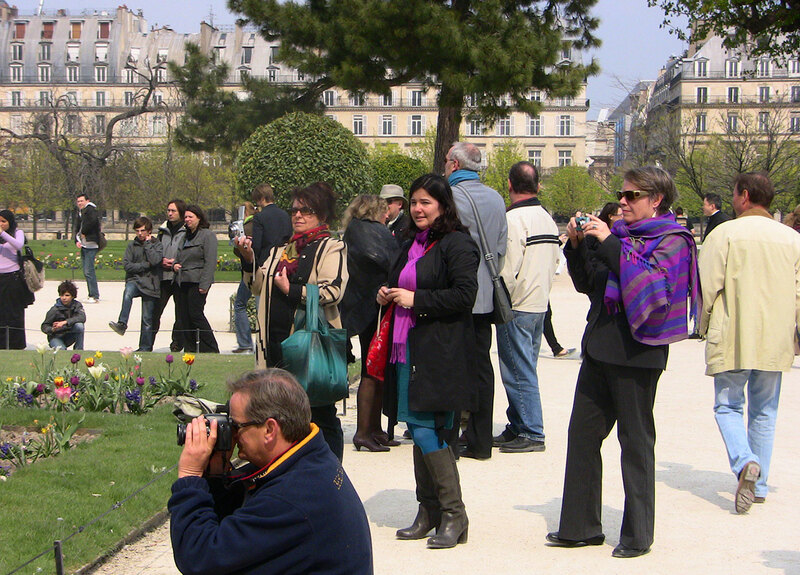 While in Europe, their travels would take them throughout Belgium, England, Scotland and Ireland. 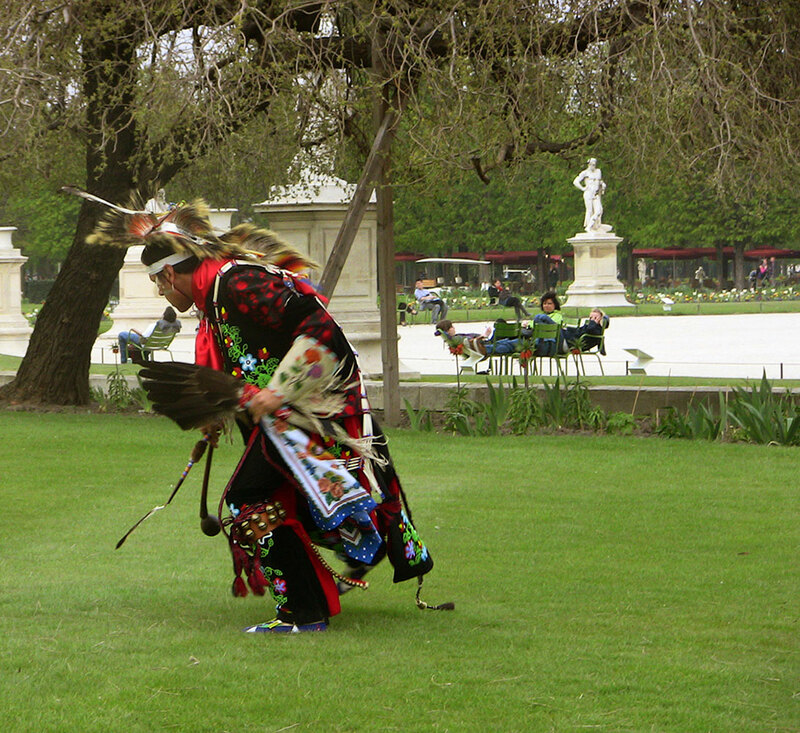 On April 23, 1848, after 5 years in Europe, Maungwaudaus and his surviving dance troupe, who had not succumbed to small-pox, returned to New York on the vessel Yorktown. 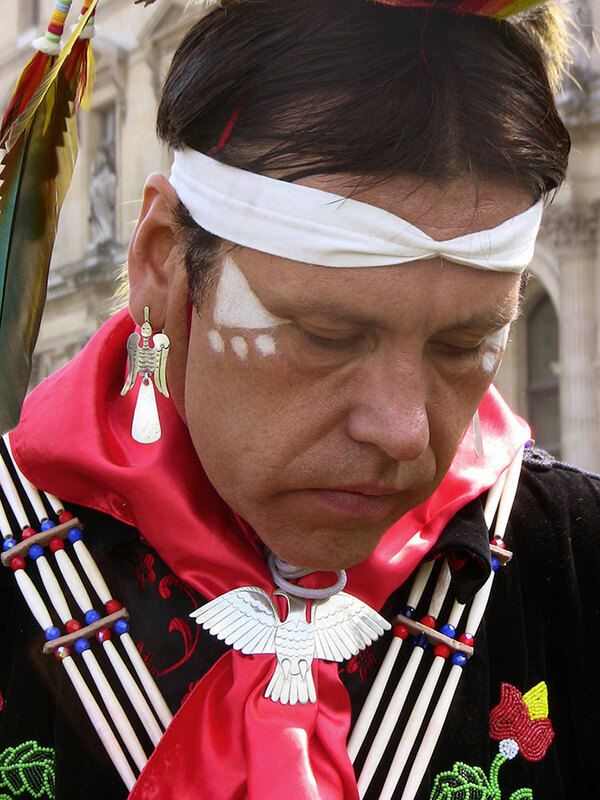 Upon his return to North Amercia, Maungwaudaus penned an essay An Account of the Chippewa Indians, Who Have Been Travelling Among the Whites in the United States, England, Ireland, Scotland, France and Belgium (Boston, 1848). 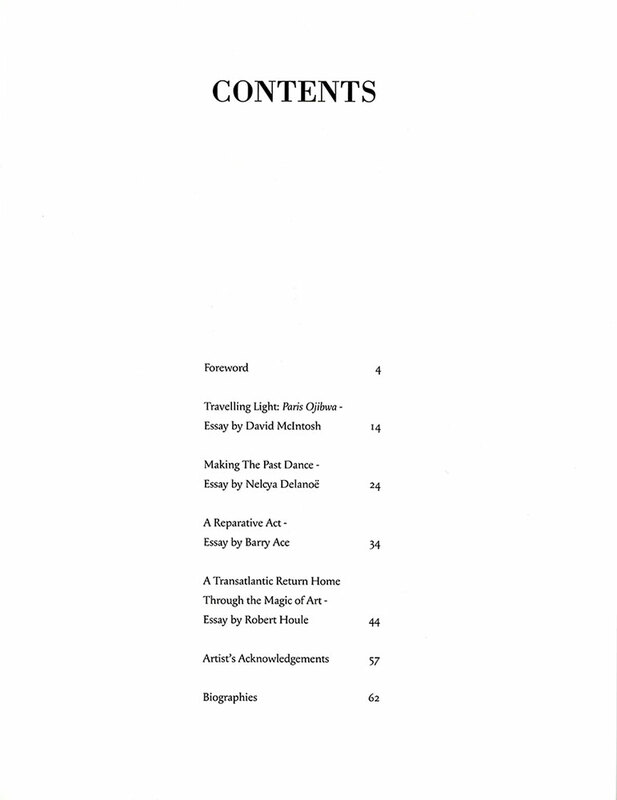 From the humourous to the tragic, this first person account documents Maungwudaus and his troupe’s travels and observations throughout 19th century Europe. 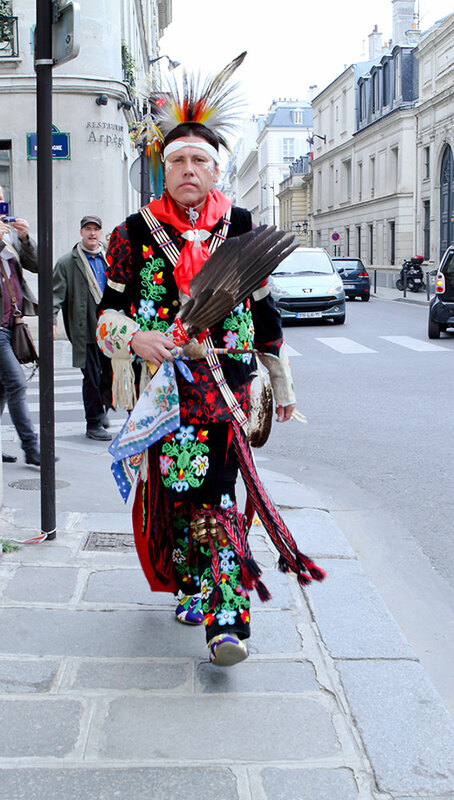 It was in 2006, while on a Canada Council for the Arts Paris Studio residency, that Houle uncovered the sketches of French painter Eugène Delacroix depicting Maungwudaus and his dance troupe, as in Delacroix’s drawing Cinq études d’indiens. 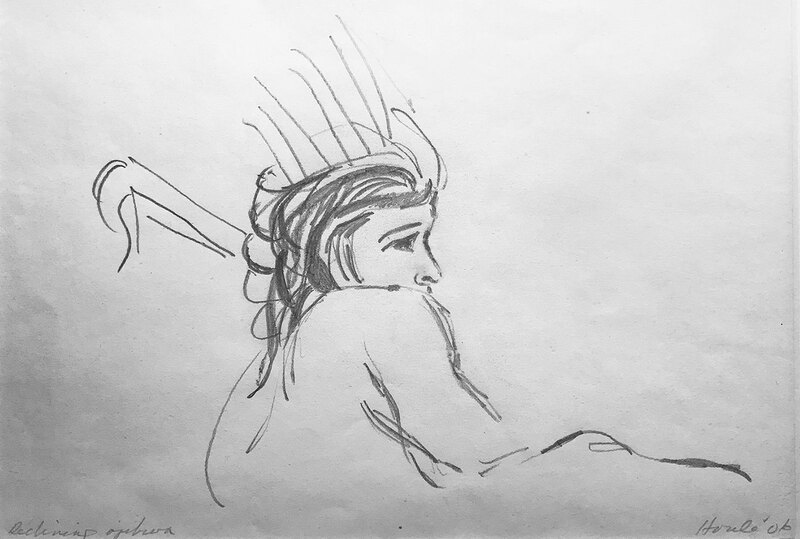 It would be this first encounter with these original sketches that over 160 years later would inform Houle’s 2010 multimedia installation Paris/Ojibwa. 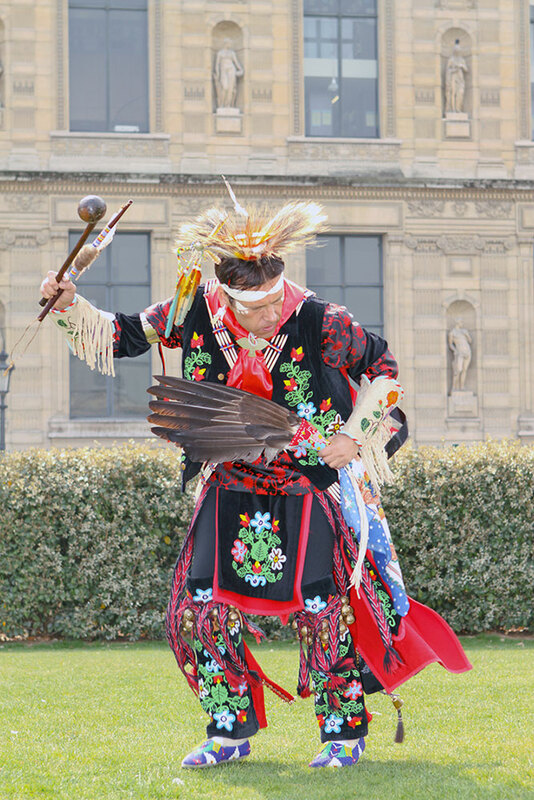 Inspired by Houle’s Paris/Ojibwa, Ace undertook four honouring dance performances in full regalia that were based on four of dancers from Maugwudaus’ dance troupe. 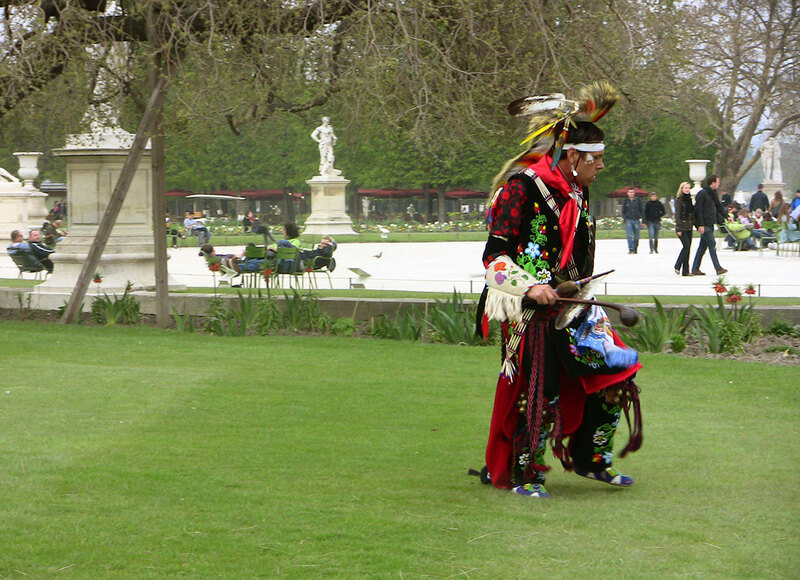 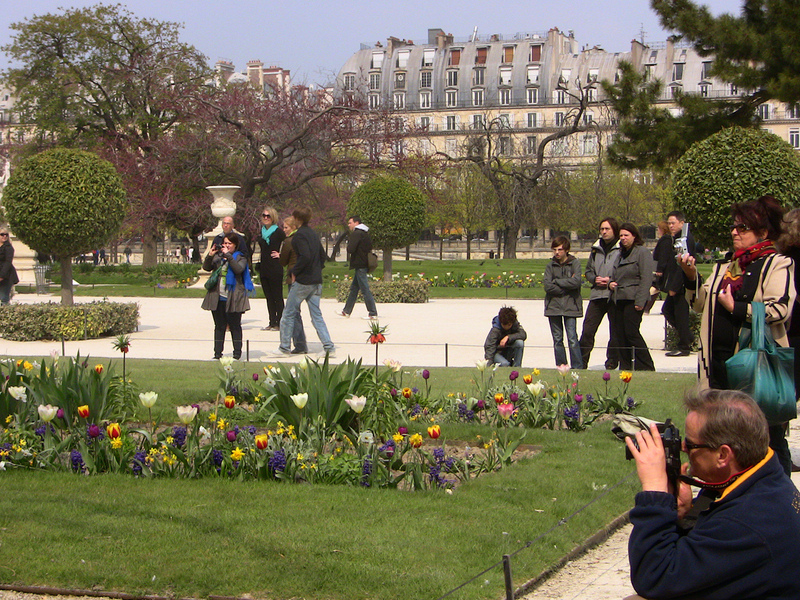 The piece entitled A Reparative Act was performed at four site-specific locations in downtown Paris: Maungwaudaus (Great Hero), Louvre; Noodinokay (Furious Storm), Jardin des Tuileries; Mishshemong (King of the Loons), Place de la Concorde; Saysaygon (Hail Storm), L’esplanade des Invalides. 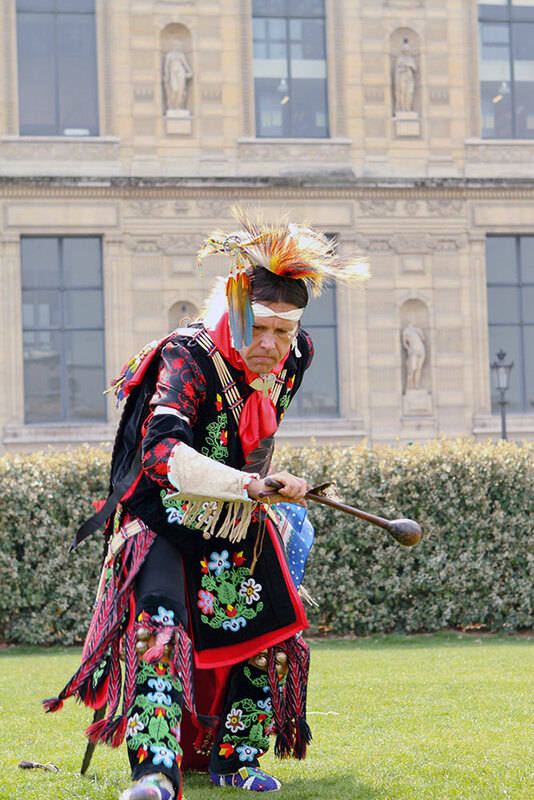 Deb Chansonneuve, one of the invited guests who travelled to Paris for the exhibition, wrote on Houle’s installation and Ace’s performance in her reflective essay, The Role of Art in Decolonization and Healing from History. 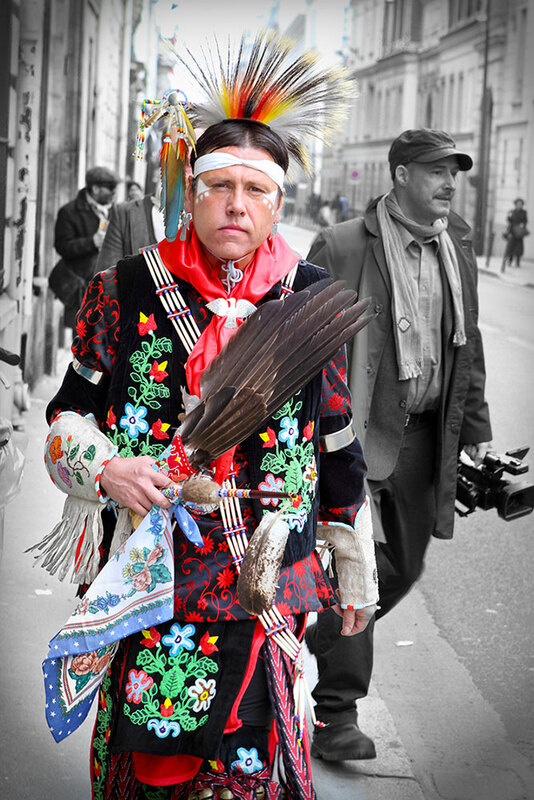 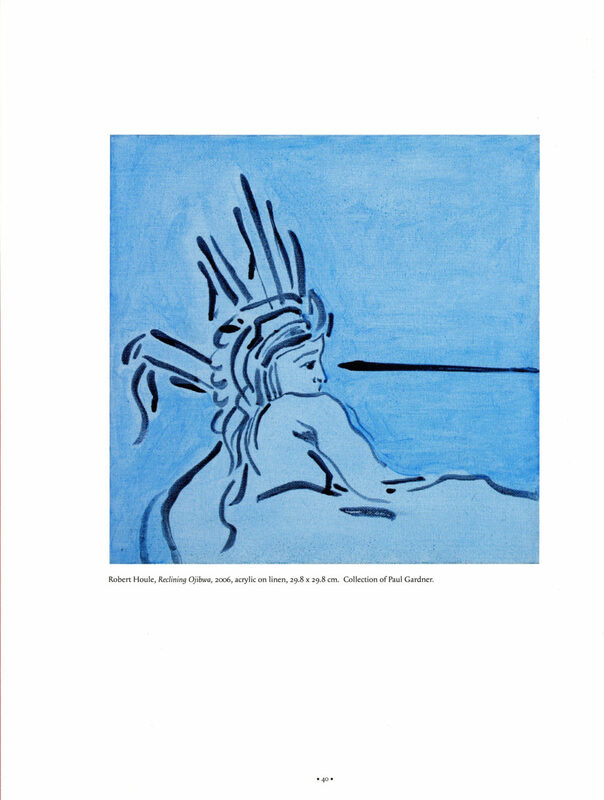 The dance performances were also documented by artist Shelley Niro and included in the film Robert’s Paintings on the life and work of Robert Houle. 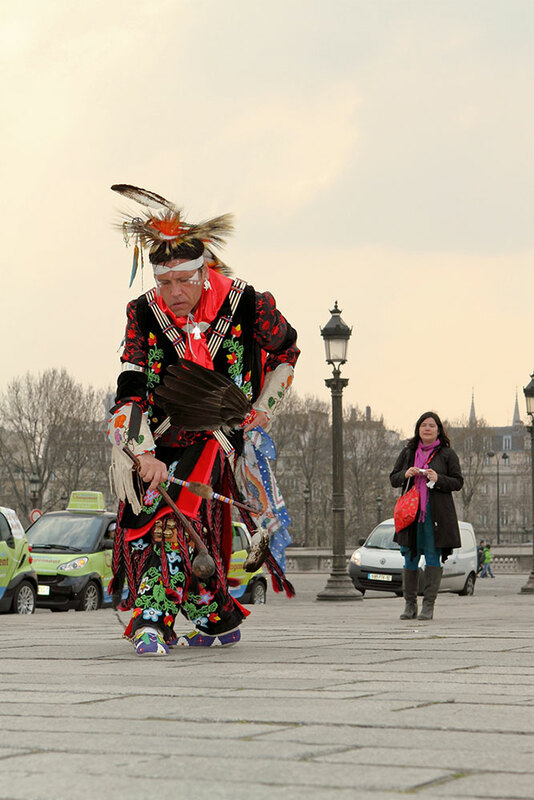 In 2018, as a commission for the Ottawa Art Gallery’s inaugural exhibition, Àdisòkàmagan / Nous connaître un peu nous mêmes / We’ll-all-become-stories, that opened in their new facility, Niro produced Homage to Four in Paris, poignant footage of Ace’s honouring dances. 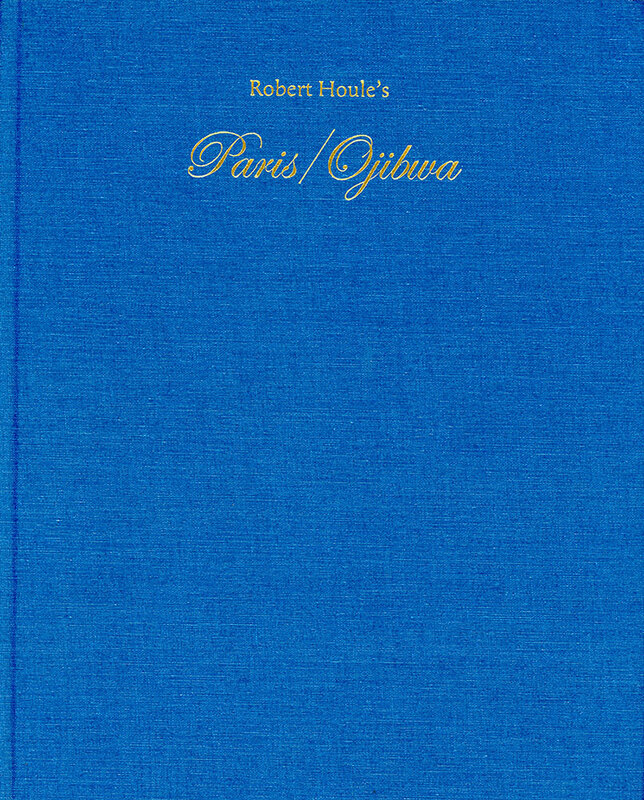 Catalogue for Robert Houle's "Paris / Ojibwa"
Table of Contents for Robert Houle's "Paris / Ojibwa"
Installation of Robert Houle's "Paris / Ojibwa"
Excerpt of essay on "A Reparative Act"
"Study for Reclining Ojibwa" (2006) Graphite on Paper, Robert Houle, Collection of Barry Ace. 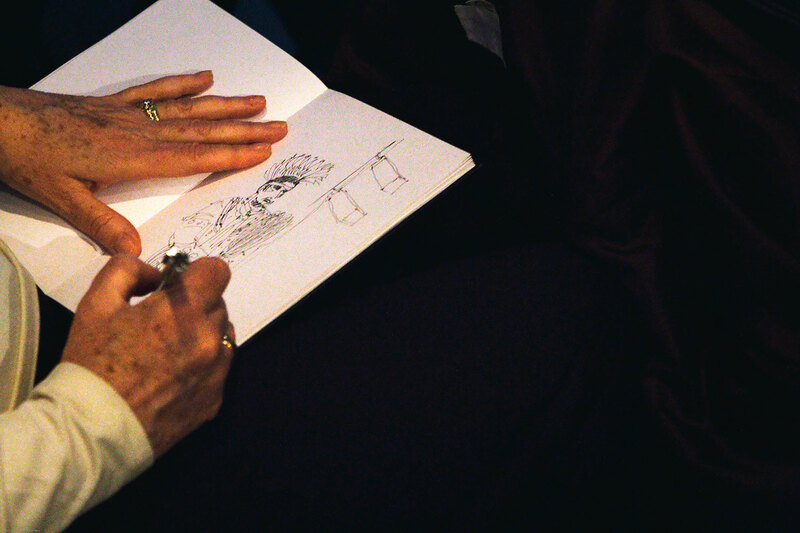 Patricia Dunn wife of Canadian Ambassador Marc Lortie sketching Barry Ace reclining after performances.